Masterstudenten van TU/e faculteit Bouwkunde tonen bij Pennings Foundation een installatie, geïnspireerd op de fantastische bouwwerken in de foto’s van Filip Dujardin. De bouwwerken in de foto’s van Filip Dujardin (1971) lijken net echt, maar zijn geheel ontsproten aan de fantasie van de kunstenaar. Masterstudenten Bouwkunde van TU/e proberen elementen van zijn verzinsels na te bouwen. Via een beamer wordt het werk van Filip Dujardin getoond. Pennings Foundation / Galerie Pennings, Geldropseweg 63, Eindhoven. Open woensdag t/m zaterdag van 12 tot 17 uur, donderdag tot 19 uur. The Curatorial Research Collective proudly presents its newest exhibition, Brick, Pixel, Fiction, which will open on June 14 in the Pennings Galerie, Eindhoven. 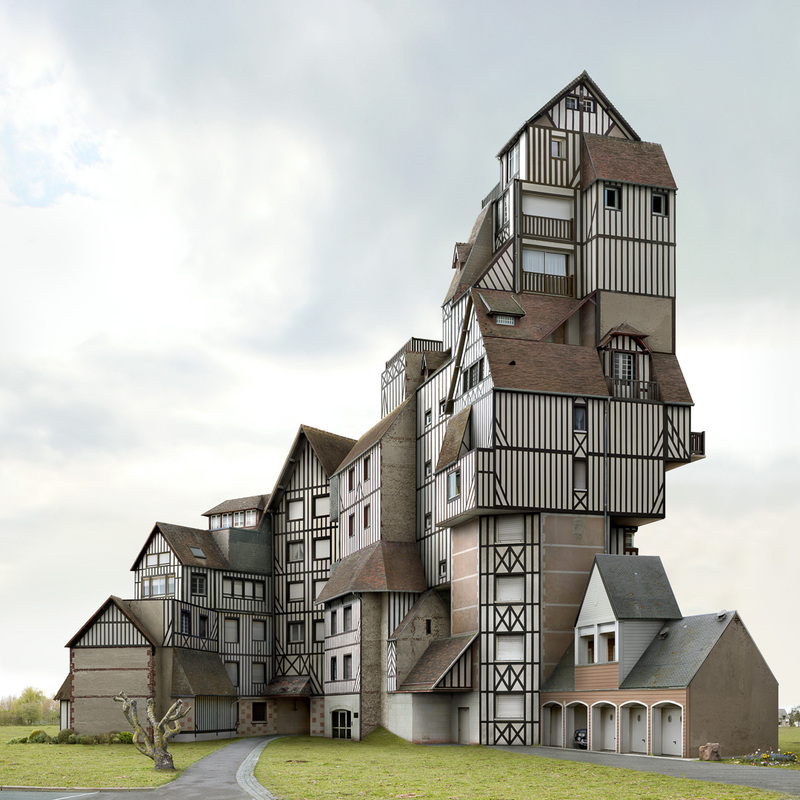 It explores the mediation between imagination and reality of architecture, through the lens of the Belgian photographer, Filip Dujardin. The exhibition is specifically focused on Dujardin’s series of fictional collages, where he continuously questions the conventional functions and forms of architectural elements by subtly subverting expectations. Taking as starting point Dujardin’s hyper-realistic montages of architectural fictions, the exhibition reflects on the duplicitous character of architecture as developed by the resonance between abstract idea and concrete realization, questioning where the boundary between the two lies. By transforming Dujardin’s collages into models, the tension between the two-dimensionality of imagery and the three-dimensionality of space is explored, while by breaking those same collages into their constituent elements, the vocabulary of Dujardin’s imagined architecture is made visible. Dujardin established himself as an independent photographer for private and public clients in 2007, in the fields of architecture, interior and product design. But after documenting several built works, “he soon felt the need to control their aesthetics and emancipate himself from existing forms to create his own”. In 2008, he presented Fictions, his first series of independent artworks where photography’s role as a transparent medium for the documentation of architecture was directly questioned. 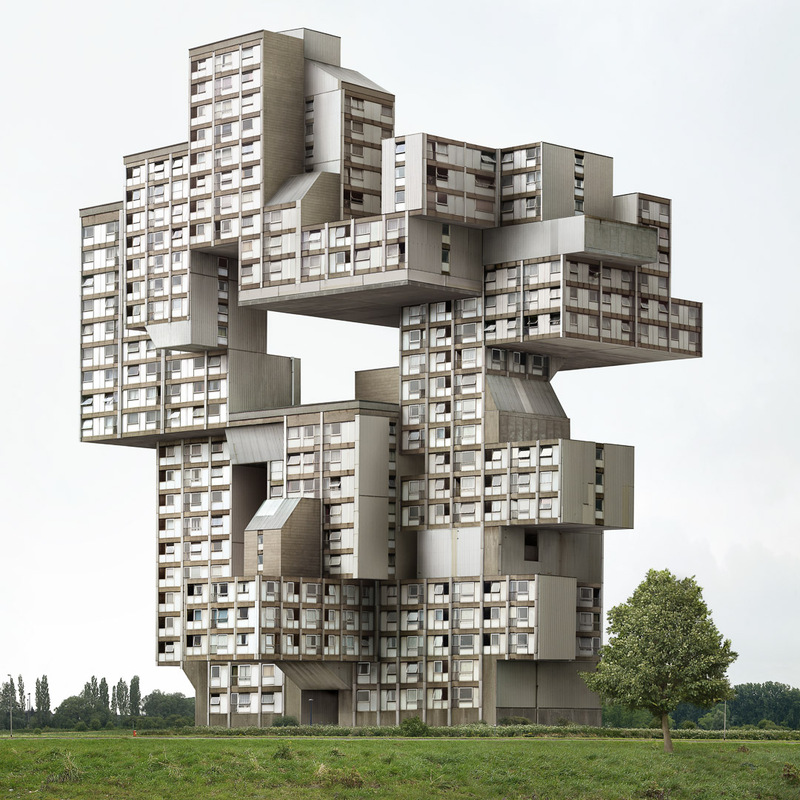 Even as Dujardin digitally erases windows and doors, changes proportions of columns, walls, and roofs, and creates new, often sculptural, architecture through fastidious montages of his large digital archive of architectural elements and details, he creates hyper-real constructions in which illusions become reality. Opening: Donderdag 14 juni om 17 .30. De expositie is te zien van 14 juni t/m 7 juli 2018. In 2018 wordt onder de naam Pennings Foundation een start gemaakt met een uitbreiding van activiteiten om uit te groeien tot een platform voor fotografie, videokunst en new media art.